저자는 “사소한 것이라도 사랑하니 모든 것이 사랑스러워 보인다”라고 하면서, “사랑하는 마음이 있으면, 행복한 인생을 누릴 수 있다”고 생각하고 있다. 자연과의 사랑, 남을 이해할 수 있는 사랑, 그리고 자신을 사랑할 수 있는 마음가짐에 대한 내용들을 시적으로 잘 표현하였다. 또한 자연 속에서 일상의 생활을 통하여 보고 느낀 감정뿐만 아니라 인생의 긴 여정에서 흘러가는 시간에 ‘자연스럽게 순응’하는 것에 대하여 시적으로 표현하였다. ‘사랑하니 모두가 사랑이더라.’ 시집 제목처럼 사소한 것이라도 사랑하려고 하는 감정을 잘 표현한 시집이다. 단어는 아는데 해석이 안 된다? 문법 문제에서 꼭 헷갈리거나, 실수를 한다? 시간이 모자라 독해 문제를 찍은 적이 있다? During the sixth grade, our class hosted a not-for-profit program that sent earth science textbooks to schools in Uganda so that underprivileged children could have the opportunity to learn the same materials that we were learning. We created the book by paraphrasing information from a textbook and accompanied them with illustrations of our own. We received appreciative responses from the schools in Uganda, and I felt very proud to be a part of such an educational, but also charitable event. This project sparked my interest in humanitarianism, which I channeled towards creating educational, yet fun books for children. In middle-school, I was assigned an activity by our earth science teacher to create a short story about the rock cycle. 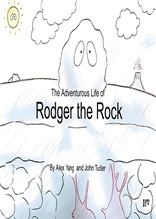 I created illustrations for each page, and finalized the story with the title: “The Adventurous Life of Rodger the Rock”. I recently stumbled back upon this project, recollecting the memories that I had of our charitable activities, and decided to make it into a children’s storybook. Like the textbook that our class had made for Uganda, I hope that this book will be of educational and fun use for children of all ages. When my story was picked by The Imagination Machine, a group of talented actors who hand pick students’ writings and act them out on stage, I was thrilled to see my own story come to life. Being a mere fourth grader who had recently moved back to America, I was lucky enough to be the only one in my grade who was selected. 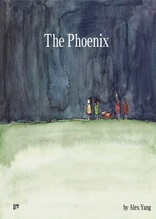 My story was called “The Phoenix”. 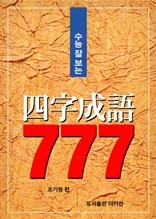 I had written this story during class, when we had to create a short story about a legend or a myth that intrigued us. As a lover of animals and the Harry Potter series, I chose to write about the Phoenix, an everlasting bird usually associated with the sun or fire, and how the creature provided warmth for the world through its fiery breath. Although the joy of watching my story lay out was ephemeral, the experience gave me an impetus to write more creative stories, and rework “The Phoenix” so that I could create it into a children’s storybook. I want more children to realize the fun in creative writing, and inspire them to write more of their own stories-- to engender creativity and let their imaginations fly. 사자성어(四字成語)는 많이 익힐수록 두뇌가 계발되며 동양인의 교양의 척도가 됩니다. 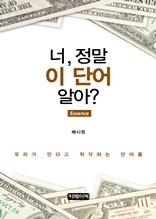 우리나라나 아시아의 지도자 CEO들 명사들은 사자성어로 자기의 철학을 드러내고 있습니다. 대입 수능과 입시에도 필요하지만 책을 읽고 이해하며 수준 높은 글을 쓰려면 한자성어는 가장 유용한 도구입니다. 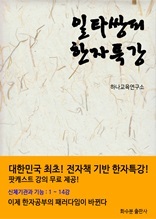 한자성어를 반복학습하여 한자어를 알게 되면 국어나 한문을 잘하게 되는 것은 물론이고 여러 학문의 이해력 글의 독해력이 생겨납니다. 또한 인문학적 소양까지 길러집니다. 이 학습자료를 공부하게 된다면 산술적으로 3 000자가 넘는 한자까지 익히게 되니 공부의 토대를 잡는 일도 됩니다. 한자성어는 수만 어나 되지만 그 중에서 자주 쓰는 말 중요한 말 고사성어를 중심으로 간추린 것입니다. 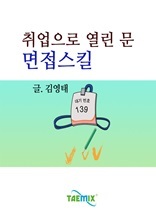 고등학생들에게 가장 유용하고 실용적이라고 생각되는 한자성어로 모았으니 태블릿이나 전자책 단말기에 넣고 다니며 늘 익히길 바랍니다. 대한민국 최초! 전자책 기반 한자특강! 이제 스마트폰으로 쉽게 한자 공부를 할 수 있습니다. 일타쌍피와 함께 부수부터 사자성어까지 한번에 공부하다보면 어느새 한자 공부가 재밌어집니다. 일타쌍피 한자특강은 4단계 학습법으로 구성되어 있습니다. 획순으로 나열된 부수 공부는 가라! 가나다순으로 반복하는 한자 공부는 가라! 생생한 예문과 함께 살아있는 한자 공부를 해보세요. 한자 공부가 처음인 분들도 차근차근 공부할 수 있도록 친절하게 설명해 드립니다. 팟캐스트 최초! 모든 강의 무료공개! 지금까지와는 전혀 다른 방법으로 언제 어디서나 스마트폰만 있으면 마음껏 공부할 수 있습니다. 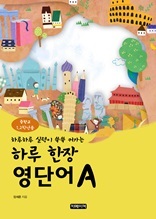 또한 다른 분들과 함께 한자 공부를 할 수 있도록 일타쌍피 한자특강 홈페이지(www.iltassangpi.net)가 24시간 열려 있습니다. 지금 바로 일타쌍피와 함께 한자 공부를 시작해 보세요! 여러분도 할 수 있습니다! ※ 이 도서는 다른 전자기기에서도 볼 수 있지만 스마트폰에 최적화되어 있습니다. 학생들에게 간단한 숙제로 미래를 만들어 주세요. 모든 언어의 기본인 단어 학습을 위하여 최적화된 책입니다. 한단어를 여러번 쓰면서 학습하는 방식이 아니라, 다양한 단어를 세트 개념으로 반복해서 쓰면서, 자연스럽게 단어가 암기되도록 하고, 스스로 체크 할 수 있는 책 속에 숨겨진 두뇌 자극 시스템을 활용해서, 더욱 영단어를 쉽게 암기하도록 구성하였습니다. 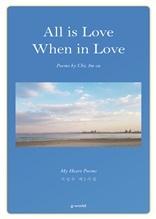 매일 하루 한쪽의 단어를 손으로 써본다면, 더욱 놀라운 어휘력을 형성 할 수 있습니다. 이젠 자녀들, 학생들에게 간단한 숙제로 미래를 만들어 주세요. 취직이라는 바늘구멍을 통과하기 위한 필수 스킬인 면접에 대한 핵심 이야기로 면접의 종류부터 면접에서 유용한 대화기술까지 면접을 대비하는 예비면접자라면 꼭 읽어봐야 할 스토리입니다. 다음과 같이 총 10개의 테마로 구성되어 있습니다. 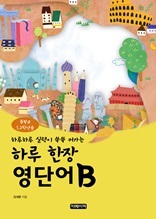 1)시대를 앞서가는 힘 면접스킬 2)면접의 종류와 대응법 3)운명을 결정 짓는 3초 4)이미지메이킹 팁 5)면접 성공 전략 6)면접요령 7)면접 팁 8)면접관 마음을 녹일 비법 9)성공적인 면접을 위한 10계명 10)영어 면접 노하우 등에 대한 삽화와 더불어 각 테마에 얽힌 재미있고 유익한 스토리입니다.